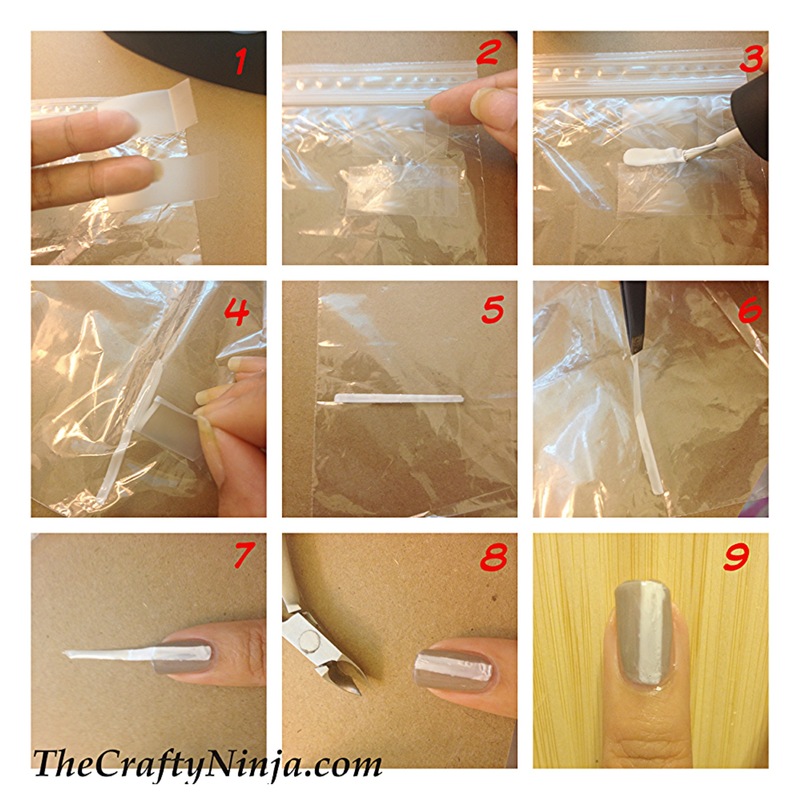 Today’s nail tutorial is using a Ziploc bag to create a nail design. 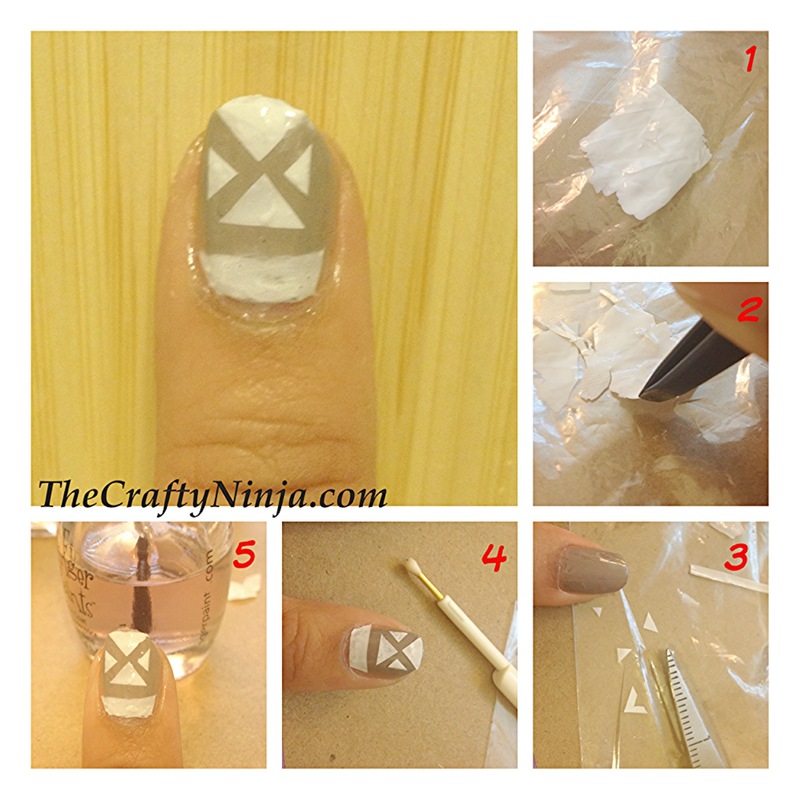 It’s so simple and easy to create any shape or design to your nails. To create this look I tried two different techniques: one using tape and one by cutting the design out with scissors. 1. My first attempt at this Ziplock tutorial I used two pieces of tape to create a line design. 2. I placed the tape on the ziplock and created a small gap. 3. With a white nail polish paint in between the tape. 4. Peel off the tape. 5. Let the nail polish line dry for about 15 minutes. 6. Use a tweezer to carefully pull the white line up. 7. 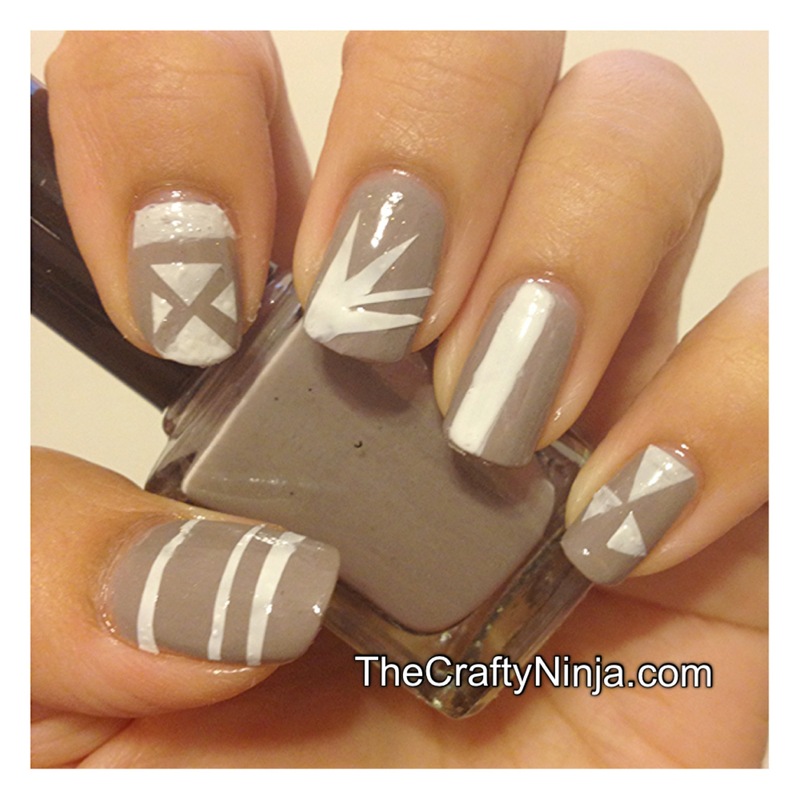 Place on your nail that has been already painted with a top coat, this will be the adhesive. 8. Cut with cuticle cutters. 9 Seal again with a topcoat. 1. The second Ziplock bag experiment I painted a square with the white nail polish and let dry for about 30 minutes. 2. Carefully take the tweezers and peel off from the Ziplock bag. 3. Using the scissors cut any shapes, I cut out triangles. 4. Using a Magic Pick place on the nail, which has wet topcoat. 5. Apply the topcoat all over.